3 What are the Symptoms of Urosepsis? 6 How is Urosepsis Treated? The term sepsis is a grave illness with clinical signs of a bacterial infection of the blood. 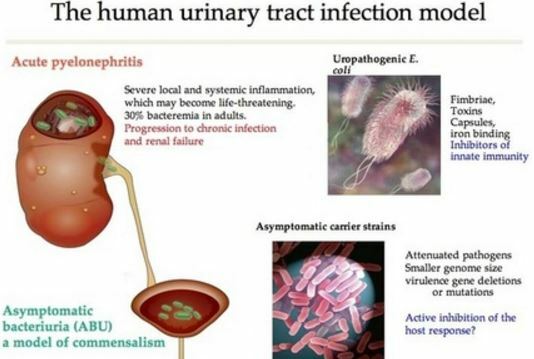 Urosepsis is still sepsis but the bacterial infection includes the urogenital organs and aside from that, the infection also spreads into the bloodstream. The organs in the urinary tract are composed of the ureters, urethra, kidneys, and bladder. The work of the kidneys is to filter the blood to produce urine that will later on move into the ureters to the bladder, where the urine is accumulated until it departs the body through the urethra. The bacteria that causes urosepsis usually access the body directly through the urethra before it make its way to the kidney or prostate and then into the bloodstream. Urosepsis usually occurs in females rather than males, and it happens more to older people or individuals who have weak immune systems or present conditions like diabetes. The symptoms accompanying this illness are very dangerous and it gets worse especially if there is no direct treatment. UTI is a type of infection that can happen anywhere in the urinary tract. This disorder commonly causes a certain difficulty in urinating that occurs with burning sensations in the urethra. The moment the infection arrives at the kidneys, the bacteria damages the nephrons resulting to pyelonephritis distinguished by pain in the lower back. If the infection progresses some more, the bacteria will disperse into the systemic circulation and can possibly cause systemic infection. The heart and brain can also be affected which either causes a faulty cardiac pumping or changes in a person’s way of thinking. What are the Symptoms of Urosepsis? There can be numerous of symptoms for Urosepsis involving the urinary system and how the systemic circulation is affected. Chills and fever that usually happens after the onset of UTI. Fever gets worse once the infection had spread to the blood stream. Flank pain – A throbbing pain on either the back or sides caused by the primary inflammation of the kidneys. Hematuria – The urine contains blood which means that the infection had already reached the upper urinary tract. Urinating frequently – The urethra gets irritated that’s why frequent urination happens. Chlamydia is a bacteria that can also cause urosepsis once it strews into the urethra, eventually entering the bloodstream. Lengthened use of catheters can cause microorganisms to access the urinary tract via the drainage bag. If the bag is not properly emptied, microorganisms may infiltrate. Other infections like Pseudomonas aeroginosa can also be developed due to the indwelling catheters. 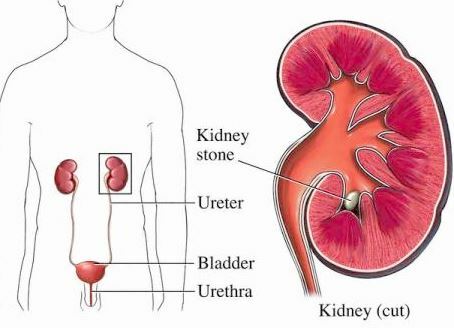 Bacteria in the urinary tract can also form through kidney stones by the accumulation of urine. This disrupts the flow of urine due to the prostate growth. When urine is gathered in the bladder, microorganisms may increase in number. When the E. coli is scattered to the urinary meatus, an infection may precipitate. This usually occurs to individuals with bad perineal hygiene. The diagnosis of Urosepsis begins with a urinalysis in order evaluate any bacteria that might be present in the urinary tract. A blood test might follow to ascertain whether the signs of sepsis meant that bacterial proliferation is present. Blood cultures may be done as well to know the precise microorganism that causes the condition. Oxygen therapy – This is for patients with compromised airways. The therapy is given to ward off hypoxia, mainly of the brain. Antibiotic therapy – This type of therapy is very important for the treatment of urosepsis. Antibiotics are given through the intravenous route to fasten up the recovery. The treatment might be sustained by the use of oral antibiotics and patients must finish the whole series of therapy as instructed by the physician in order to prevent possible drug tolerance and re-infection. Cardiotonic and vasopressor drugs – Dopamine drugs increases blood pressure to normal levels. Intravenous fluids – IV fluids are administered to the patients to preserve the toughness of the vascular system and to interchange hypotension. For severe cases, mechanical ventilation is necessary. Removal of devices that might be infected such as catheters. The billable ICD 9 medical code for urosepsis is ICD-9-CM 995.91. This will be replaced in October 2015 by ICD-10-CM 995.91. This is a code which can be used for reimbursement purposes on a patient’s diagnosis. The code does not include sepsis that involves an acute organ dysfunction, a multiple organ dysfunction and cases with severe sepsis types on patients. Rinaldi, S; Landucci, F; De Gaudio, AR (September 2009). “Antioxidant therapy in critically septic patients”. Current drug targets 10 (9): 872–80. Goldstein B, Giroir B, Randolph A (2005). “International pediatric sepsis consensus conference: definitions for sepsis and organ dysfunction in pediatrics”. Pediatric Critical Care Medicine 6 (1): 2–8. Levy MM, Fink MP, Marshall JC, Abraham E, Angus D, Cook D, Cohen J, Opal SM, Vincent JL, Ramsay G (Apr 2003). “2001 SCCM/ESICM/ACCP/ATS/SIS International Sepsis Definitions Conference”. Crit Care Med 31 (4): 1250–1256.